In a representative democracy, the right of decision belongs to the majority, but the right to representation belongs to all. FairVote advocates for adoption of proportional voting systems for local and state elections, and for an informed debate about their merits for congressional elections. Parliamentary elections in Palestine, which were originally set for July 17th, have been delayed as groups have called for changes to the way in which seats are apportioned. The most contentious issue about the electoral system has been the debate between district voting and proportional voting. 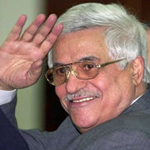 Many civil society groups and parties have argued that at least half of the deputies be elected through proportional voting, while President Abbas even argued that all seats be elected through proportional voting. On Saturday, June 18, in response to diverse pressures, the Palestinian Legislative Council (PLC) finally approved by a vote of 43-14 the bill with the amendment that requires seats to be apportioned evenly according to the two electoral systems. According to the new law and amendments, 66 deputies will be elected in local districts and 66 will be elected through proportional voting, in which voters will cast their ballots for different parties. On June 7, the shareholders of General Motors nearly voted to adopt proportional voting for future elections for the Board of Directors. Almost 49% of shareholders supported cumulative voting over the current winner-take-all system. The proposal for cumulative voting won the highest percentage of the vote of any non-board-recommended measure in GM history. A cumulative voting system would allow a minority of like-minded shareholders to elect at least one board member by concentrating their votes on a single candidate, ensuring a more accurate representation of shareholder interests in board decisions. 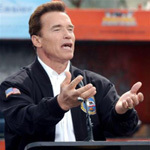 On June 13, California Governor Arnold Schwarzenegger declared a special election for this November to have voters consider three initiatives. 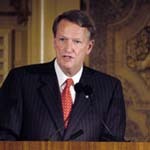 One would create an independent panel of retired judges to draw state and congressional districts before the 2006 elections. FairVote supports reforms that stop partisans from helping friends and hurting enemies in redistricting. But redrawing districts alone won't "bust up the boxes," as the governor seeks, because the real reason for lack of competitive choice in our legislative elections is winner-take-all elections. State-by-state reform of congressional redistricting also is more problematic than seeking national standards affecting all states simultaneously.